I don't know who enjoyed the book more, me reading all the fun tractor sounds or the kids listening to them. 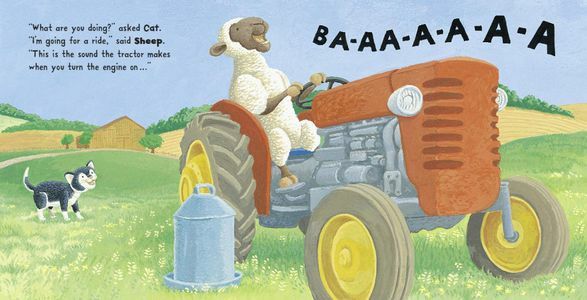 In this story all the farm animals take the tractor for a ride without the farmer knowing. It's so cute because each of them has their own animal noise that they make that ends up matching the sound of a part of the tractor. A really fun read aloud! 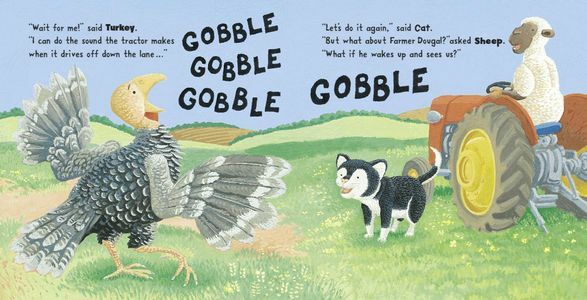 Jez Alborough is an English writer and illustrator of children's picture books that have been translated into at least 15 languages and have been recognized for numerous awards. Jez lives in West London and is a keen musician and music lover.